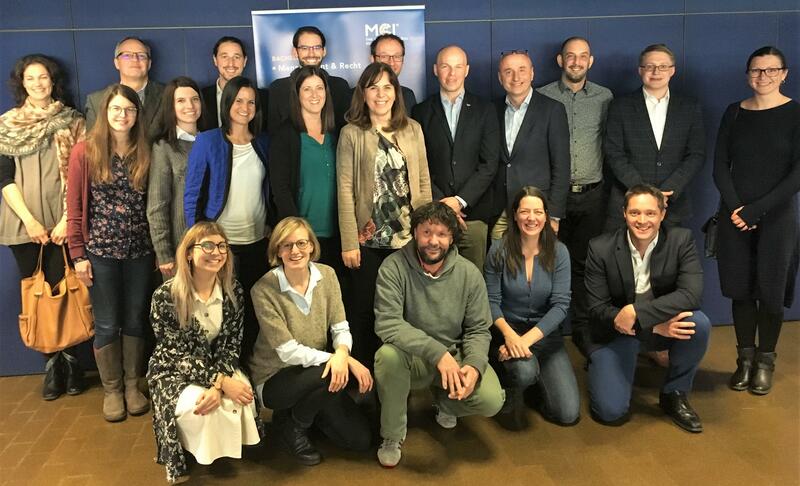 This week, we had the pleasure of hosting Oliver Laasch here at Management Center Innsbruck. He sent our students out into the wild on a Sustainability Watch, made them draw pictures of complex challenges, and helped them develop their “Responsible Management Muscle”. They loved it. 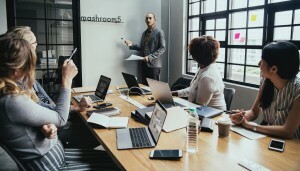 He also shared many useful models and resources with our staff, triggered important discussions, inspired our thinking, and helped us work on our “RML Sixpack”. 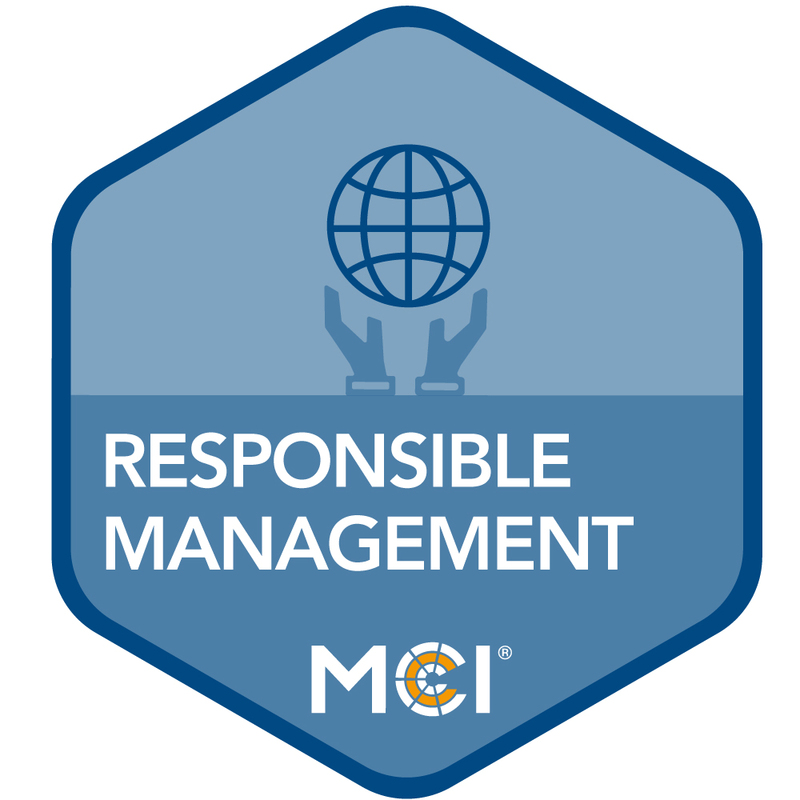 Oliver, thank you so much for sharing your great expertise, knowledge, and experience with staff and students here at MCI. Your input was greatly appreciated. Abstract. The field of responsible management learning and education (RMLE) has developed from a preoccupation with business schools’ (ir)responsible education practices, more specifically, practices centered on educating responsible managers. We have learnt much about the academic community’s responsible management education practices. 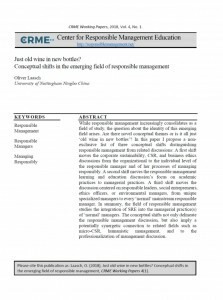 However, we still know little about the managerial community’s responsible management practices. 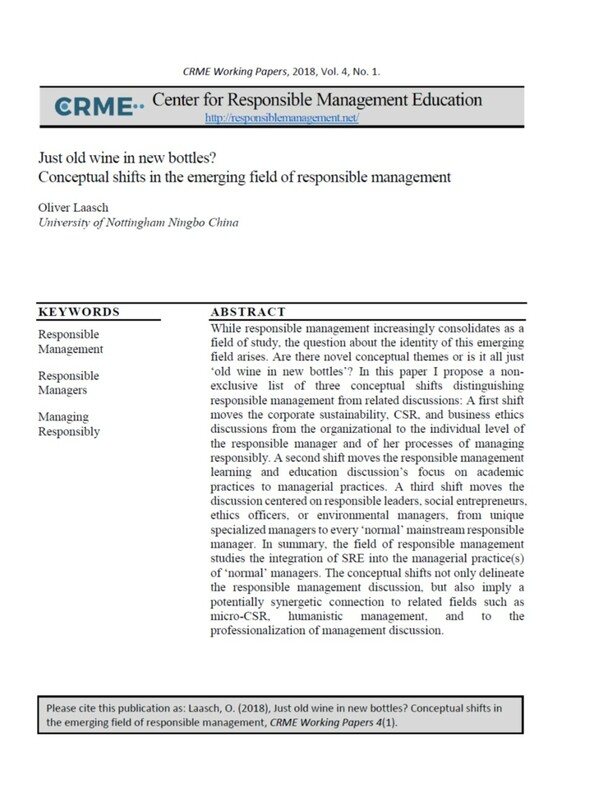 This paper first defines and delineates responsible management and responsible management education. 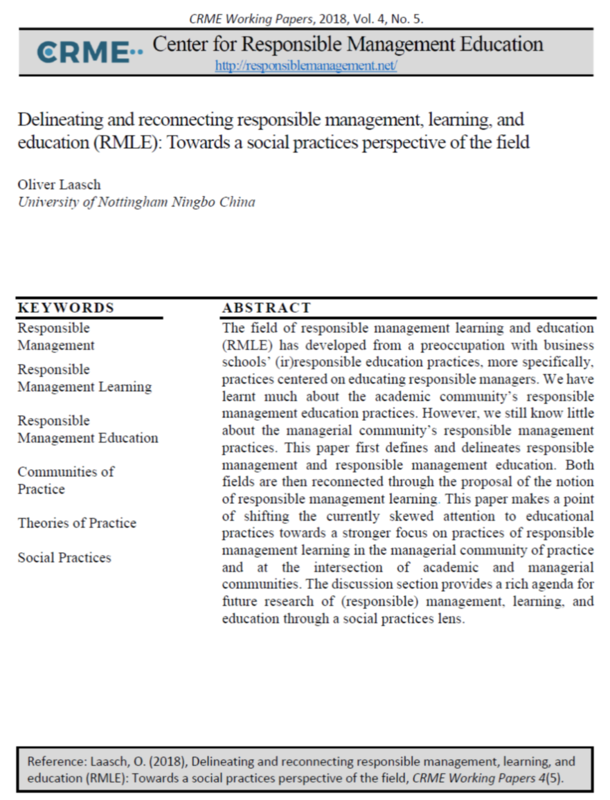 Both fields are then reconnected through the proposal of the notion of responsible management learning. 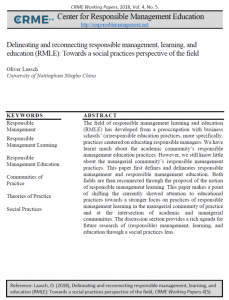 This paper makes a point of shifting the currently skewed attention to educational practices towards a stronger focus on practices of responsible management learning in the managerial community of practice and at the intersection of academic and managerial communities. The discussion section provides a rich agenda for future research of (responsible) management, learning, and education through a social practices lens. 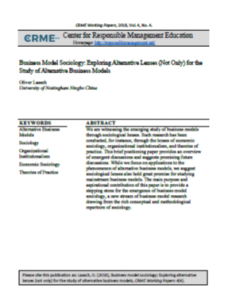 Abstract: Humanistic management practices are often perceived as ‘unrealistic’, as they stand in steep contrast to ‘normal’ business reality shaped by the commercial logic of neoclassic economics. 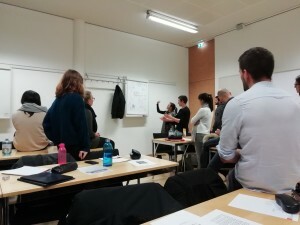 The conceptual lens of performative practices focuses on how practices that appear to be unrealistic can be ‘made real’ through their enactment. 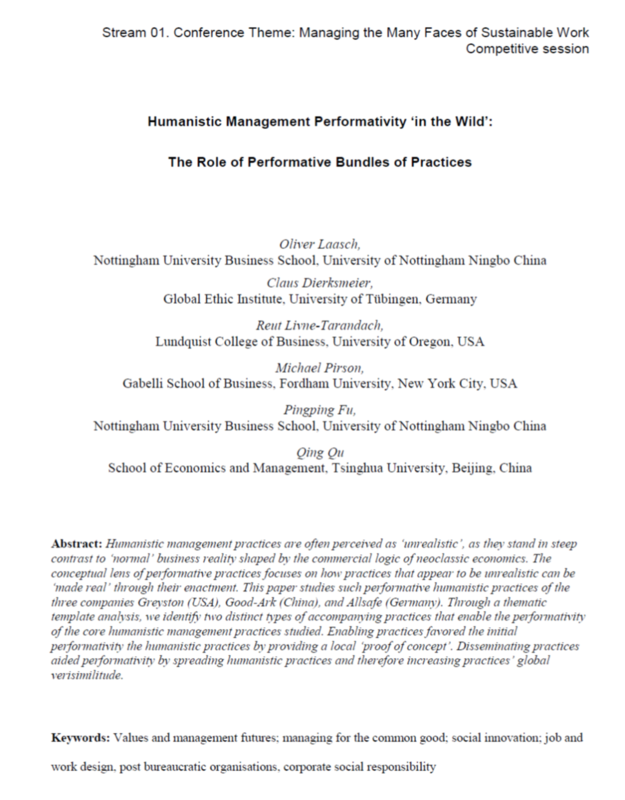 This paper studies such performative humanistic practices of the three companies Greyston (USA), Good-Ark (China), and Allsafe (Germany). 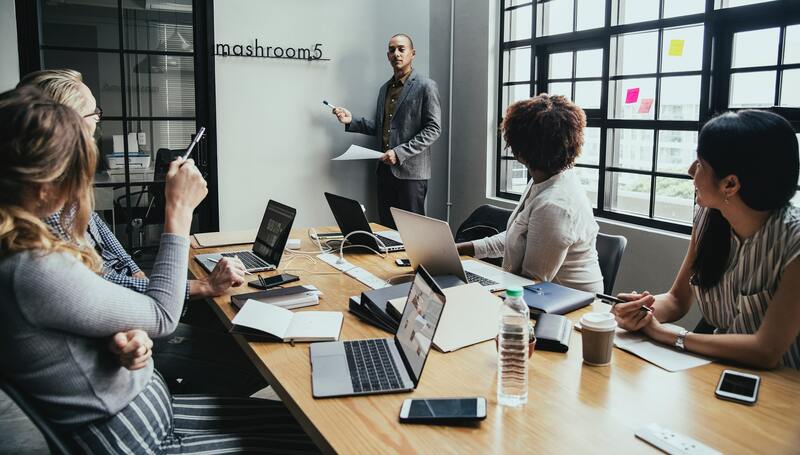 Through a thematic template analysis, we identify two distinct types of accompanying practices that enable the performativity of the core humanistic management practices studied. 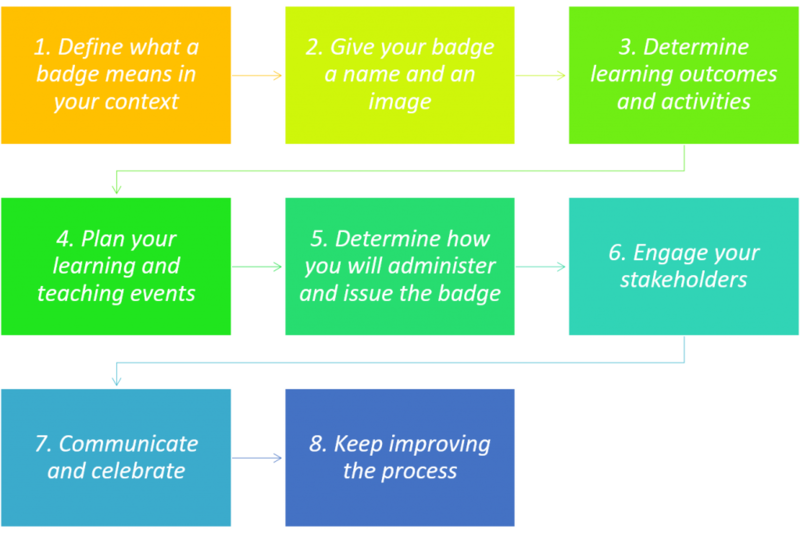 Enabling practices favored the initial performativity the humanistic practices by providing a local ‘proof of concept’. Disseminating practices aided performativity by spreading humanistic practices and therefore increasing practices’ global verisimilitude. 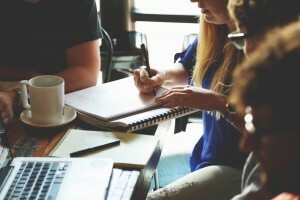 Please cite as Laasch, O., Dierksmeier, C., Livne-Tarandach, R., Pirson, M., Fu, P., & Qu, Q. 2018. 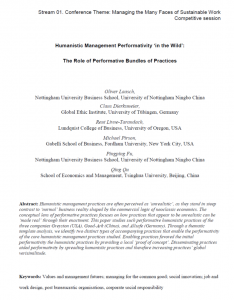 Humanistic management performativity `in the wild': The role of performative bundles of practices, 32nd Annual Australian & New Zealand Academy of Management (ANZAM) Conference. Auckland. 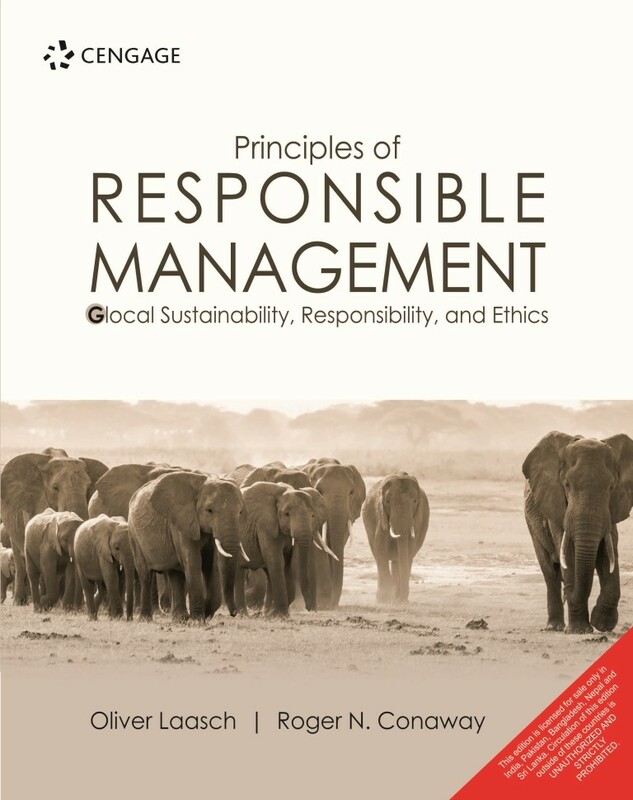 After Chinese, Spanish and Portuguese translations, the textbook Principles of Responsible Management: Glocal Sustainability, Responsibility, and Ethics authored by Oliver Laasch and Roger Conaway has now been released as an Indian version. The full information is available clicking here.